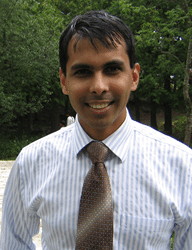 V. Simon Mittal, MD, is a physician consultant and member of the Advisory Team for VITAL WorkLife. Dr. Mittal practices internal medicine and is the CEO of a firm that provides medical services to long-term and skilled nursing facilities. He also provides consultation and coaching in the areas of leadership development, career development, strategic planning and talent management. In his 15 years of practice, he has held numerous roles in healthcare systems, including that of vice president of medical affairs, department chair of internal medicine, and chair of a medical executive committee. He completed his medical degree at the University of Texas Medical School at Houston, and completed his internship and residency at the Fitzsimons Army Medical Center In Aurora, CO. Dr. Mittal also holds a master’s degree in medical management from the University of Southern California.